US airline Delta has diverted flights on routes across the polar regions as radiation from a massive solar storm batters the Earth's atmosphere. The radiation storm has caused dramatic displays of the aurora borealis (the Northern lights) but there are also fears it could disrupt communications, damage satellites and cause power grid outages at northern latitudes. Atlanta-based Delta said it had altered the course of some flights between Detroit and Asia to avoid communications problems from the storm. Airline spokesman Anthony Black said. 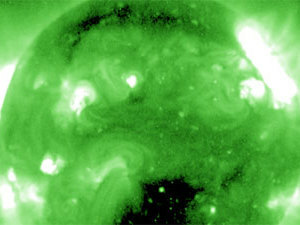 "We are undergoing a series of solar bursts in the sky that are impacting the northern side of the world. "It can impact your ability to communicate," he said. "So, basically, the polar routes are being flown further south than normal." Flights diversion can cause your car rental schedule changes - so check with Tipoa Car Hire for more information. We want you to have constant access to competitive car hire rates and superb customer service wherever you are. You can make your next Rental Car Reservation even when you are on the move, now we have developed our app for iPhone . Book cheap car hire direct from your iPhone with Tipoa Car Hire - constantly seeking to improve the online rental car experience. Search for the best deals on car hire directly on iOS from your iPhone with Tipoa Car Hire. We offer cheap car rental in the UK, Spain, Europe and Worldwide. Book car hire at over 25,000 locations worldwide from our secure online car rental website. 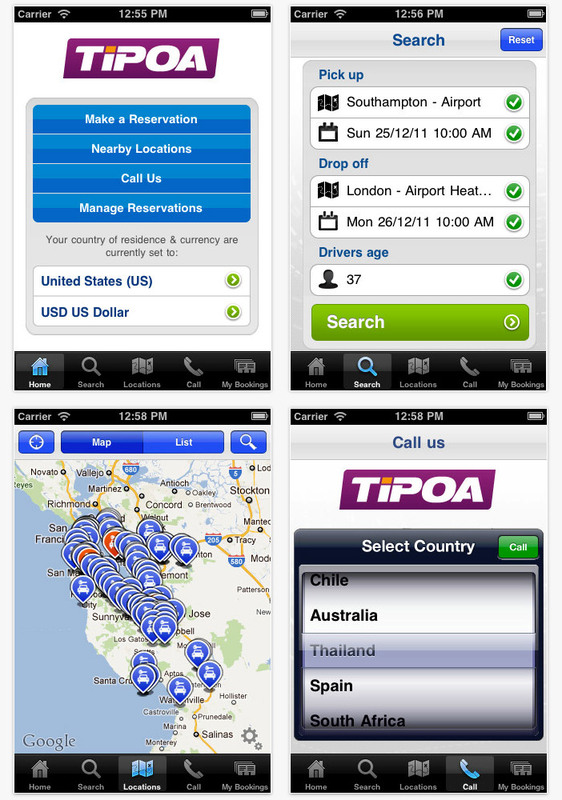 Download the FREE Tipoa Car Hire iPhone App Now!